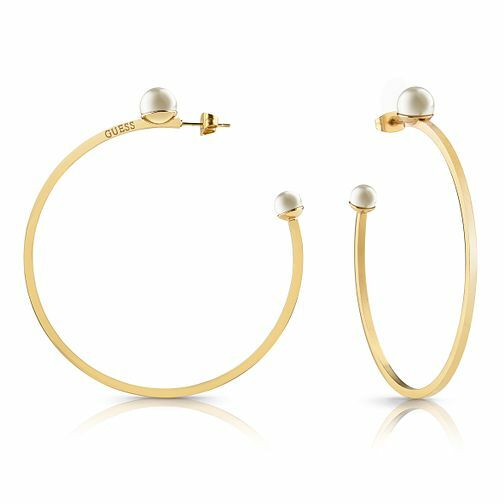 These sleek yellow gold tone earrings feature two large faux pearls which meet at each end of the hoops. A subtle GUESS embossed logo features upon the body. The jewellery staple of every ladies' collection, with a classic touch.